We will take you into the heart of wild nature in Sardinia. The coastal road to Alghero from Bosa is home to two colonies of Griffon Vultures*. 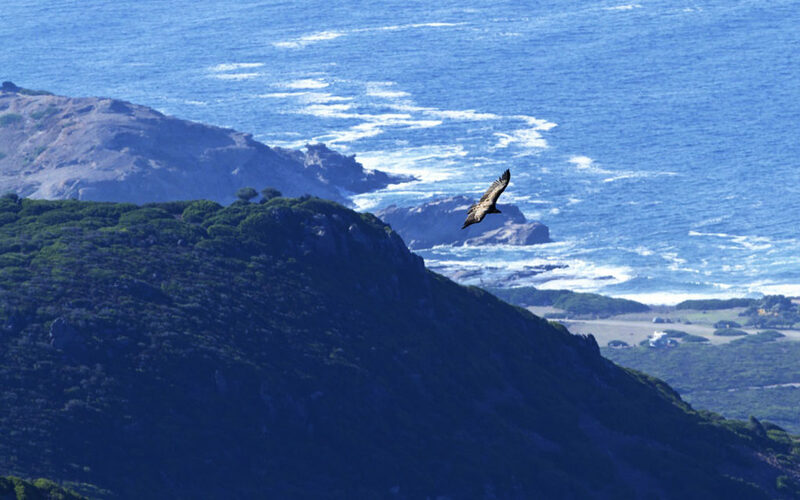 This stretch of coastline is relatively untouched by tourism and provides excellent habitat for the Griffon Vultures. Driving along the coastal road to Alghero from Bosa is an adventure in itself. We will take you to some of our own personal favorites. The best way to explore the Griffons life is along ancient trails, known only to generations of shepherds. 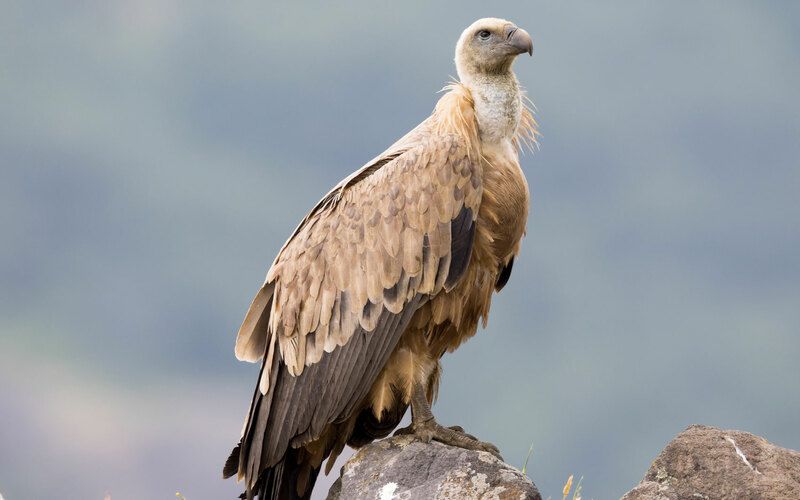 The vulture experience normally begins first thing in the morning after a short drive through the reserve, followed by a trek on foot to reach the isolated mountain where the griffon vultures are most commonly found. We will visit a shepherd’s farm to highlight their way of life. With the Paragliding tandem, you can share the space in the air with Griffon vultures. Paragliding tandem gives you the unique opportunity to interact with these birds and see the world through their eyes while you share the sky with them. You’ll climb the thermals as they do. We will bring you in their world in a safe condition and if you’ll be lucky, you could share some moments with them. Anyone can do it, no experience needed. Enjoy silently gliding with the birds over Sardinia. 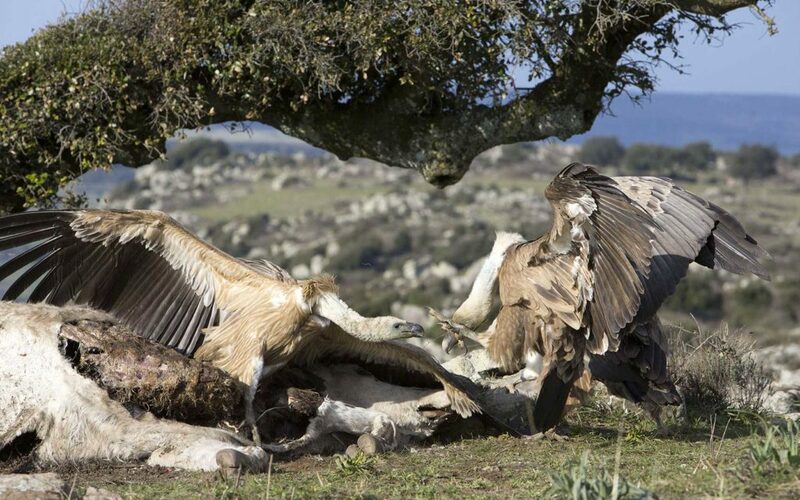 *Thanks to the project Entulzu Bosa (Entulzu means Griffon Vulture in the local Sardinian language), this tiny remnant population of Griffon Vultures has been protected and bolstered by the introduction of birds from Spain and France. Legambiente Sardegna performs constant surveillance of the nesting sites all year round, and recently land at Capo Marrargiu has been acquired as a reserve for the species. However, the use of poison on animal carcasses to kill foxes and stray dogs is still common (albeit illegal) in Sardinia, so the birds are in constant danger of extinction. Pick up is between 08:00-08:30. All within 20-45 min driving radius of Bosa/Alghero. Minimum 2 and maximum 6 passengers. Under 18 years need parents written permission. Weight: 20 – 120 kg. Bring a camera at your own risk. Or, use our GoPro Hero4 on a stick. Pick-up, transport & guide, one Flight (optional). Lunch at shepherds farm. 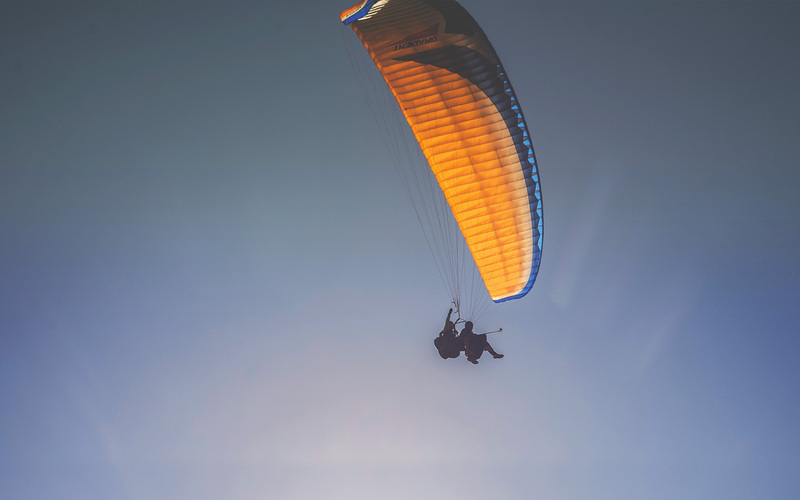 Tandem paragliding is not considered dangerous if it is practiced correctly. The ideal weather conditions and ours professional pilots will make this experience an unforgettable one. I feel dizzy, can I fly? The dizziness is not a problem, there are many suffering from vertigo who fly quietly whenever they can. Having not fixed references under our feet we don’t have any problem. All our flights are selected to ensure maximum safety and fun. Outdoors clothing according to weather and good, sturdy shoes. Long pants, hiking shoes or trekking shoes. Not smooth shoes! NuAdventure cannot guarantee 100% that animals can be observed or photographed. These programs are dependent on the behavior of wild animals, for which we cannot control and accept any responsibility. There are several types of lenses we recommend, but a lens between 600 and 400mm to highlight more distant birds and perching in trees, or to highlight details. In addition, a focal length of 200mm to 300mm may be ideal for flight scenes, group situations or proximity. A percentage of the profits from this activity revert to nature conservation actions in the Reserve. • I acknowledge that I have a good health situation and that I don’t have any special requirements due to ill health or medical conditions. * If we need to cancel your booking because of weather you can either re-book for another try or choose one of our other Flying experiences. Due to how fast the weather changes in Sardinia we can never guarantee a flight. 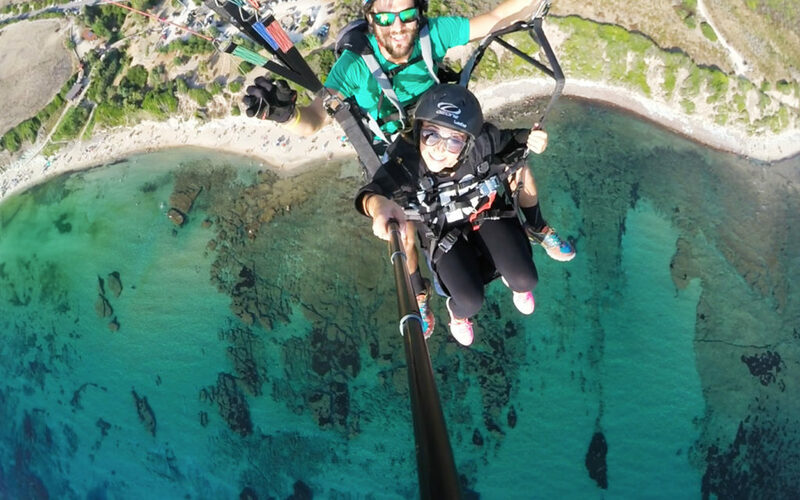 If we do not manage to get you airborne during your stay in Sardinia, you will receive a 100% refund. 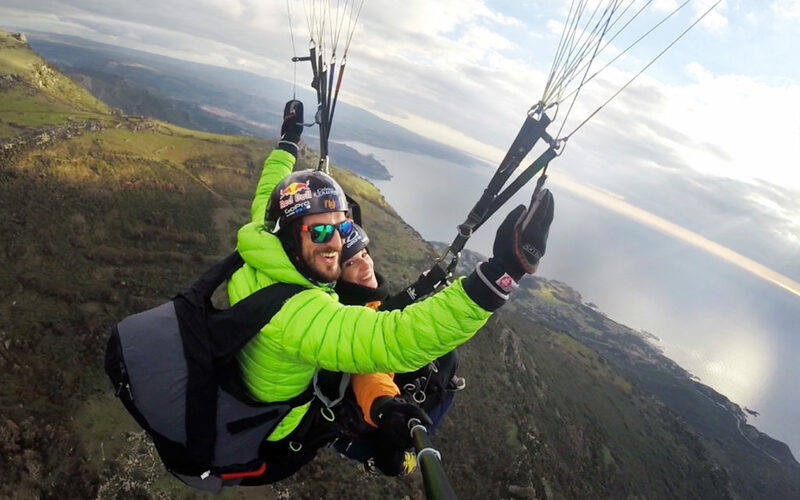 A Tandem Paragliding Flight is a legitimate Introductory flight operated by licensed Tandem Paragliding pilots. Fabrizio & Lohene, we are a new generation of movers, who combine adventure sports and a passion for nature, well-being, and fitness. NuAdventure is how we spread our love for adventure and self-discovery in Sardinia.